The Best Flying Geese Technique I Know! I love making blocks that use flying geese now that I learned this construction technique. I no longer am sewing bias edge triangles together. The technique is easy to do and with each construction you are making four flying geese units which are enough for a block. Below is a short video from Fons and Porter showing this construction technique. From 5 pieces of fabric you will have 4 flying geese units. I recommend cutting the patches a little over size so that the final flying geese unit can be squared up to size. Once you try this technique, don’t hesitate to tackle any block that has flying geese units. Flying geese subunits are the mainstay of many star blocks. The challenge with the flying geese subunit is maintaining the points and the distortion because of bias stitching. All of this results in subunits that are not quite rectangular. If you try to square them up, another challenge is the math and trimming (squaring the subunit) to keep the ¼” accurate so that the points are nice and sharp. 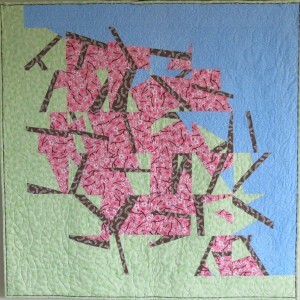 As a result, many quilters simply avoid making anything with these flying geese. The good news is that there are several methods and techniques that, when used separately, or combined, result in perfect flying geese. Not only are these methods and techniques easy, but fun. In the next several posts I will cover techniques and methods for piecing perfect flying geese. Nothing could be easier than stitching only one seam. Sounds impossible, but it is true. Following are two videos that illustrate this technique, one with Ricky Tims and the other with Jenny Doan. After you see this technique, you will want to run to your stash and start making these easy flying geese by the hundreds. We live in a health conscious world. 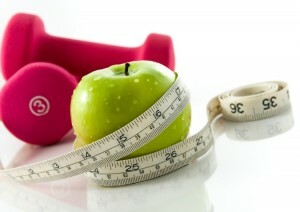 Everything we eat must be healthy for us, low in calories and fat, high in vitamins, minerals, and antioxidants. Soda is bad for us because it has high fructose corn syrup and fast food is terrible because it is high in fat and salt. Many join a gym or fitness center to keep trim or loose weight. And, what about those health monitors that keep tabs on our heart rate and how many steps we take each day? Has all the fun been taken out of life? Quilters, take heart! Literally take HEART. Scientific evidence points to many positive health benefits of quilting. Not only do we often quilting with our friends, but the right kind of body chemicals are formed when we are happy doing something we enjoy and we have something to show for it. Next time your family complains about a late dinner or the laundry not done, tell them you were “working” on your “fitness” program for good health. 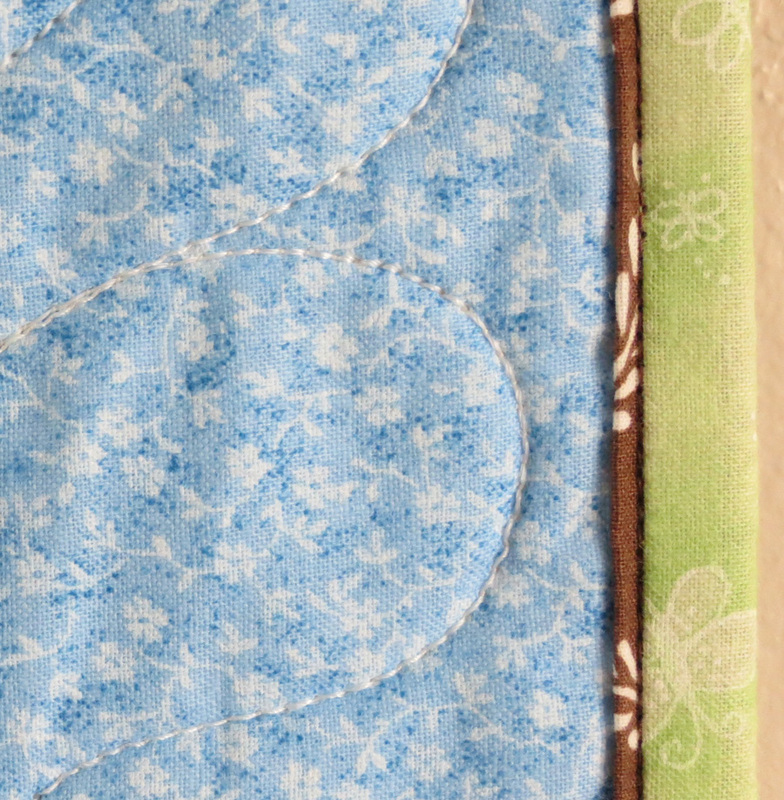 Read the whole (short) article on Surprising Health Benefits of Quilting. Now I am not advocating that you run right out and break the bank by purchasing every machine, tool, and gadget you think you want for quilting. But, there is a lot of truth to that statement. 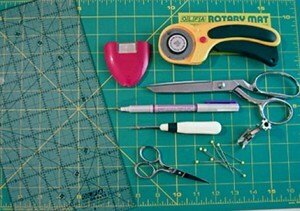 Those of us that go back a few years will remember when the first rotary cutter and mat came on the market. The first I purchased was a mat and ruler set, which I still own, 12” wide and 24” long. The mat did not even have a grid on it. We were very excited to have a tool to accurately cut patches. What a time saver as well as a hand saver from manipulating the scissors. Previous to this new tool we used ruler and pencil to make templates from cereal boxes. Try as best as possible we would cut the templates out following the line. Cutting on the lines was one of the useful skills I learned in kindergarten. Another was learning to wait in line, now waiting in the cutting line at the quilt store. After cutting the cardboard templates we would carefully trace around them on the fabric and again pick up the scissors to cut the patches. Depending on whether you were going to hand piece or piece by machine, the ¼” seam allowance might or might not be included on the template. Wow! That was a lot of work. Not only do we have the rotary cutter today, but an even faster and potentially more accurate system, a machine with dies to cut the patches. 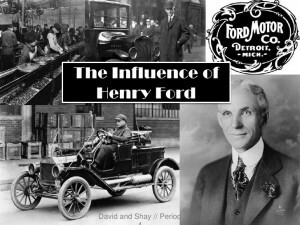 Henry Ford, of course, was looking at the “time is money” principle of business as he grew his auto company from each auto as a custom build to the assembly line with the goal of every family in America affording a car (and, of course, employ people and put dollars in his bank account). In business, the more labor (time) involved the higher the cost to produce. What do we actually need to quilt? Tools and machines that will help us become more efficient. Today we spend money to get time. If a machine or tool will give us more time, then it could be worth the purchase. 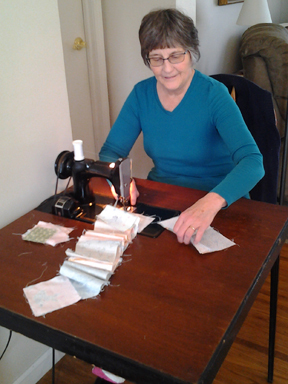 If the longer bed home sewing machine makes it more comfortable or easier for sewing, then we are trading the money for that purchase for increased comfort and enjoyment in our craft. If the crank or mechanized cutter improves our quilting, gives us more time to make more quilts, and increases our enjoyment in quilting, it could be worth the expense. And what about a really big purchase like a longarm quilting machine? If you want to have ownership of the entire quilt from start to finish, quilting at your sit down home machine is a frustration, or as in my case, painful to my neck and back, or renting time is not possible, then perhaps purchasing a longarm is the right decision. Me enjoying my “new” Featherweight and table. embroidery machine or longarm and do work on it to “help pay for it.” What is wrong with owning something just for the enjoyment of owning it? Or owning it because it makes the process easier, more enjoyable, or simply saves us time? How many men do you know that have purchased a hunting rifle, bass boat, or the latest and greatest lawn and garden tractor want to justify the purchase by making money with it? 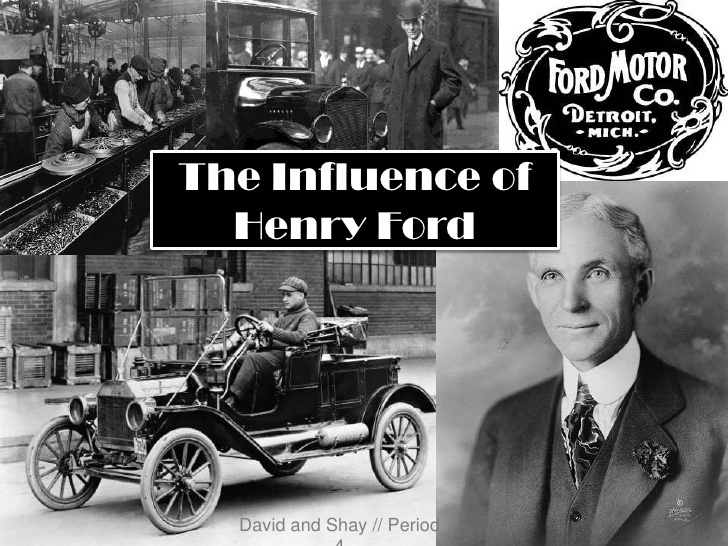 Certainly Henry Ford was on to something back in the early 1900’s recognizing the importance of having the machinery (and tools) to get the job done. Without the machinery to take the place of costly labor, those machines were paid for, but not owned. For us as quilters, not owning the machines and tools we really need may save us money, but could cost us more in time, make us less efficient and productive, and lower our quality of life and enjoyment of quilting. Although I can’t give you permission to run out and purchase what you want, I do give you permission to seriously consider machine and tool options that will make you more efficient, be more comfortable to use, give greater productivity, and greater enjoyment as you travel along your quilting journey. 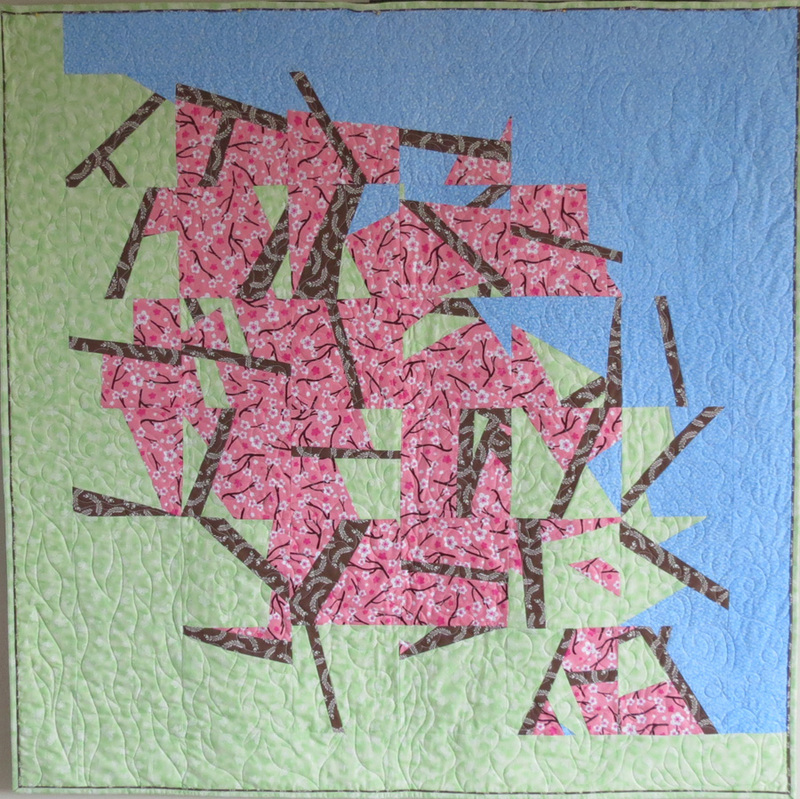 I belong to a very large quilt club in Rochester, NY, Genesee Valley Quilt Club, that has about 335 members and meets monthly September through June at a very large building. Before the short meeting (about 10 minutes long), there ample time to search the large library borrow books, participate in the block of the month and fat quarter activities, enjoy time chatting with quilting friends new and old, turn in quilts you have made to be given away as “comfort quilts,” sign up for a workshop, check out the free table, or see what a member might have at the “sale” table that month. After the short business meeting is over we enjoy “show and tell” seeing the many comfort quilts turned in (often 40-50) and member show and tell, which is an inspiration to all of us. We take a lunch and take turns providing snacks. After lunch we have a program, usually a presentation by a well-known quilter, often with a slide show and quilt samples. Each year I try to take at least a couple of workshops to learn new techniques or perfect techniques I already use. Because the club likes to bring in nationally known teachers and lecturers, I had the opportunity to take a class last fall (2015) from Joe Cunningham. Anyone who has been in the quilting world very long knows the names of some of the well-known quilting teachers. Because there are significantly fewer men quilting teachers than women teachers, you are more likely to know their names. As a vendor (Nolting Longarm) at Quilt Canada in 2014 held at Brock University in St Catharines, Canada, I noticed one day a very tall, slender man strolling down one of the halls where classes were taking place. Later I noticed that same man eating in the dining area. Could it be, yes, it was, Joe Cunningham. 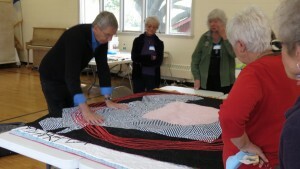 Joe was teaching classes at Quilt Canada. 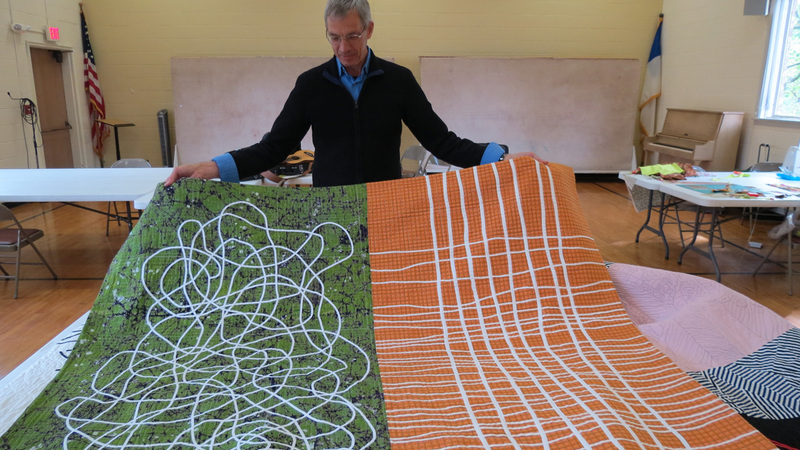 Over the years I have read articles about Joe and his quilts in various quilting magazines. His style is not traditional, not really art, although sometimes, it is simply his style. So, when I had the opportunity to take a class from Joe in Rochester, NY, I immediately signed up. Like most workshops you are provided with a list of supplies that include fabric suggestions, sewing machine, cutting tools, and sewing supplies. Armed with everything I needed or thought I might need, I went to class which was held in a very large meeting room at a church. There was more than enough room for the fifteen or sixteen quilters. Each of us had two large size tables to work on! This was the second workshop that Joe taught, having taught another project the day before. The workshop with Joe was a joy. It was very laid back, the technique had a few instructions, very few, and the interpretation was left up to the quilter. Joe roamed around the room looking at progress as we made our 6 ½” blocks. Although laid back, there was structure and he did have the clock in mind suggesting that by 2 pm our blocks should be made. If you don’t have 36, use 28 or if you have more, fine. At 2 pm we would start working on arrangement. Thankfully we each had a lot of space to arrange our blocks. Joe would come by and spend several minutes looking at the arrangement, move a few blocks to another spot, maybe back again, but urged us to be open and look at other design options and that it would speak to us when it was done. What was so interesting was that everyone’s project looked quite different because of the many different kinds of fabric used. Some fabrics were solids, others read as solids, others were prints with a dominant color, how value (relative strength of color compared to other colors) affected the design, every project looked very different. I remember one project in particular made of fuchsia, lime green, gray and black solids. What a modern quilt that was going to be, very striking. Joe serenading us as we work. Joe showing us his quilts. 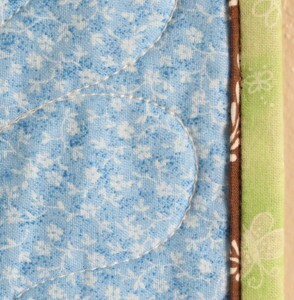 One of Joe’s quilts using his bias tape technique. happy with my arrangement and spent at least another hour or more on the design wall at home before deciding that was enough and started stitching the blocks together. Joe did spend a little time talking about finishing, adding borders, or not, and, of course quilting. He had a number of samples to look at which provided lots of inspiration. As Joe started packing up his quilts for their journey back to California, I learned something about storing quilts. I noticed that he did not fold them nice and even by quarters, then fold again into a nice square. Instead, he flopped one corner over, then another corner over and each corner, rather haphazard, like a child might “fold” something. So I asked. Quite simply, folding haphazardly in different ways each time reduces the fold marks that you often see in quilts that are neatly folded and stored. So, I guess sometimes it is best not to be so neat. My project is now finished, assembled, quilted, and bound. My finished quilt with closeup of binding finish technique. The workshop with Joe was one of the most fun filled workshops I have ever taken. 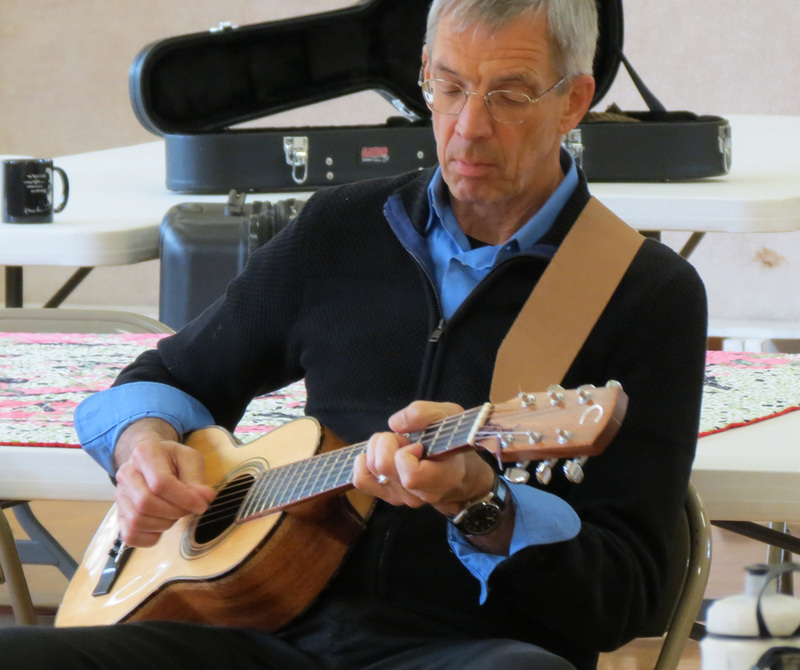 Low stress, using a free, no thought cutting technique, an encouragement to think out of the box, and he even serenaded us with his guitar and songs. Thank you, Joe Cunningham for a very enjoyable workshop experience. Below take a tour with Joe Cunningham in his studio in San Francisco. And, if you have a chance, sign up to take one of his workshops. As we quickly approach the night before Christmas, you, too, may be working hard to complete a few last minute quilted gifts. A member of my quilt club passed this along and I hope you enjoy it as much as I did. The only one sleeping was Quilter’s dear spouse. wondering just what was happening and who she could blame. but Old Mrs Claus and her bag of quilt-gear…. I’m terribly sorry we gave you a fright. Sit down. Have some tea. It’s relaxing, you’ll see. In fact she quite feared that she’d near flipped her lid! The stitches, how tiny! The corners, how straight! They finished the pillows, then started a quilt. Before they all knew it, the whole thing was built!.. and the whole house smelled sweetly of Christmas and spice. “Merry Christmas, my dear, now just have a ball! All advertising for Black Friday with its deep discount loss leaders (TV sets for $150, Computers for $199, etc) is meant to get you through the door so that you drop many more dollars on other great sales before leaving the store. As a result, small local businesses have been left out in the cold, literally. Not to be left out in the cold, small businesses across the country are making a come back promoting their great, unique shops with a special shopping day on this Saturday, November 28. Yes, great deals, sales people who live in your town, friendly home town service, and you are supporting your very own home town economy and its people by shopping locally. How much of a difference can a local shop make locally? This “Today” story shows just what can happen with an idea, business plan, and sharing what you love to do. Click on the link below to see this great story. What Is Your Quilt Style? Quilters have different quilting styles from very traditional, follow the rules pieced blocks, to modern “white” space quilts that show off awesome quilting, to out of the box, no rules apply quilting. You know what you enjoy doing, I hope that you appreciate other quilting art styles for their creativity. The link below is to a The Quilt Show slide show of Jamie’s fun, funny and thoughtful quilts and photos of her studio. I hope that you enjoy this “rebel” quilter, pick up a little inspiration and someday, just for the fun of it, try a little out of the box quilting. Link to smilebox slide show of Jamie Fingal’s quilts. What About Quilting Makes You Smile? Although we have different personalities, likes and dislikes, as quilters, we share many similarities. We all love fabric, we love working with fabric, sewing, and creating. Some areas may be more of a challenge than other areas. 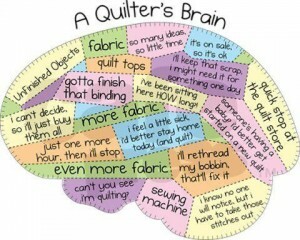 Some parts of the quilting process we really enjoy, other parts, maybe not so much. This short video about quilting and quilters from The Quilt Show will make you smile.